Ginger and turmeric are in the same family. Its no wonder that they produce similar and many beneficial health properties. 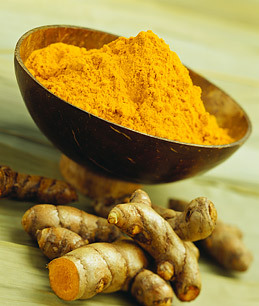 Ginger has been traditionally used in Asian style cooking, while turmeric is a key ingredient in Indian inspired dishes. Ginger tea and ginger ales have been used to settle and soothe the tummy and aid in digestion. Dried crystallized ginger candy can be used as an all natural cough drop. 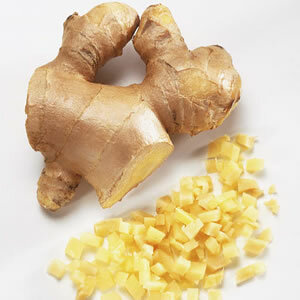 Adding ginger to your recipes also helps to strengthen your immune system and fight off the common cold. Turmeric is also fantastic for the immune system, and studies have shown that cooking with this ingredient regularly can help prevent cancer and fight infections. Perhaps the most powerful benefit of ginger and turmeric are their anti-inflammatory properties. I can speak to this personally. In my previous job, where I was required to use the computer for many hours during the day, sometimes my wrists, fingers and forearms would tense up and become inflamed. I would then cook a dinner and incorporate turmeric and ginger into my dishes for several days, and I noticed obvious relief! It was amazing how adding 2 simple ingredients to my meals would reduce the inflammation. Even now sometimes if I am doing an activity that requires much hand, finger, and arm movement, sometimes I feel the the same tense, inflammatory symptoms starting to appear, however, every time I cook with turmeric and ginger, I notice that the discomfort starts to go away. Due to this, I now incorporate ginger and turmeric in much of my cooking. They have automatically become staples in my kitchen (along with garlic and olive oil).